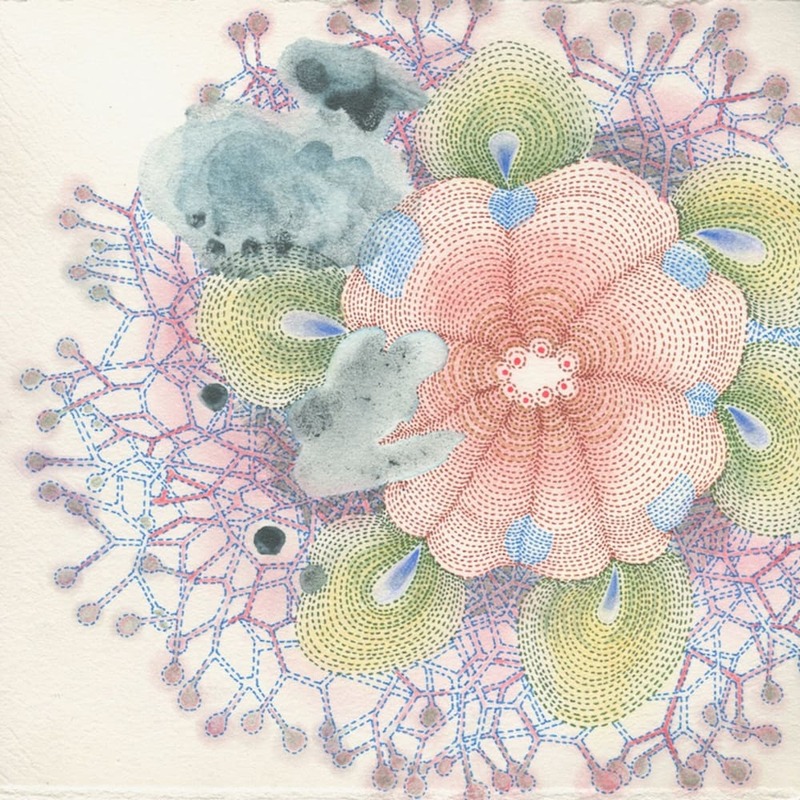 There is a pattern to nature and, as imagined by Sarah Morejohn, it is formed by the tiny forces of minuscule decisions. A cluster of dots can lead to many things: murmurations, constellations, bacteria, snowflakes, landmasses, a small spiraling shell found on a beach. For Morejohn, the act of drawing is simultaneously a way of being lost and of arriving; the rhythms, repetitions and artifacts of the making are integral to the experience. Time and patience morph into observations like that of a scientist, explorer, astronomer — revealing different possibilities of life, tenderness, and longing. Morejohn’s drawings are memento of native plants and hikes in the Pacific Northwest, where she was born. The colors trigger a memory of a specific plant as if it were squeezed and mashed, its juices dropped onto a surface, that then reorganizes its intricacy. Morejohn’s work has been exhibited throughout the United States and is in the permanent collection of Montefiore Medical Center, Bronx, NY and The University of Oregon, Eugene, OR. She earned and BFA from The University of Oregon, Eugene, OR. The artist lives and works in New Jersey.